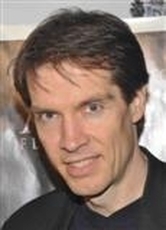 Craig Webb is a professional dream analyst and speaker/trainer/author on dreams, consciousness and communications. His life path was set in motion two decades years ago when he nearly drowned on a white-water rafting trip and suddenly began recalling up to ten dreams a day and having verifiable precognitive dreams. Since then, he’s graduated from McGill University, participated in pioneering dream and consciousness research at Stanford University and at Montreal’s Sacré-Coeur Hospital, designed electronic self development tools with worldwide distribution, and helped found and produce Making Contact (a progressive weekly radio show that has aired on over 200 international stations for 2 decades). 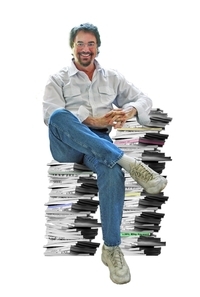 As a hired/invited expert for major motion pictures, Fortune 500 corporations, international TV/radio shows, magazines, etc., he’s broadcast/published pioneering concepts about applied psychology, dreams, communications, creativity and human potential, as well as interviews with leading visionaries. For 2 decades, he’s led numerous training programs and over 1500 miles of transformational outdoor quests with a refreshing style that blends soul, science, heart and humor. He’s had the privilege to offer empowering trainings to CEO’s, celebrities, doctors, professors, best-selling authors, grammy-winners, and others from all walks of life, helping them make profound breakthroughs while having a heck of a lot of fun. Craig is a SyFy invited/featured author, a member of the scientific advisory board of North American Journal of Medical Sciences. He and his work have been honored to make well over a thousand media / academic /keynote/corporate appearances (BBC, ABC, NBC, Discovery, CBS, CTV, CBC, MSN, PBS, The New York Times & London Times, and many others). 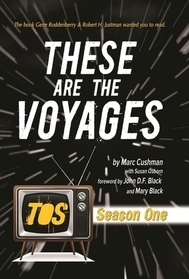 Marc Cushman, author of the new book, These are the Voyages - TOS: Season One, a book endorsed by Gene Roddenberry and Star Trek co-producer Robert H. Justman before their deaths. Marc felt both were looking over his shoulder as he wrote the three book set (one for each season, Season Two and Three to be published soon). Marc is a Los Angeles based Author, Screen Writer, Director, and Producer with movie credits such as Through the Eyes of a Killer and Desperately Seeking Paul McCartney, and in the past worked in television, writing for series such as Star Trek: The Next Generation, Diagnosis: Murder, and Beyond Belief: Fact of Fiction. Marc is also the author of I Spy: A History and Episode Guide to the Groundbreaking Television Series. Mr. Seeds has been published 80 times between six magazine publishers in the United States and Europe. He has done research, interviews, reporting and commentary print work. This is his 23rd radio interview about historical research using the first man in history to be decorated by a military organization for accuracy in remote viewing involving psi-functioning (psychic ability). The “Evidential Details History's Mysteries Series” was conceived in the Fall of 1996 during the authors two trips to the Monroe Institute in Faber, Virginia. After consultations with the Pentagon's number one psychic - Joseph McMoneagle - research began in early 1997 with double blind targets submitted as per the military's Remote Viewing protocols. 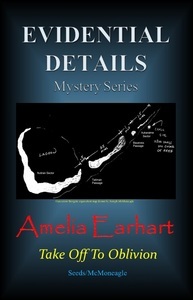 The manuscripts were then researched based on having the answer to the mystery. The focus was to compare the session work against the known historical facts to solve unsolvable mysteries. The initial results were impressive, and the tasking process went on for almost five years. The response has been everything an author could ask for in terms of positive feedback. Nancy Garcia is a dream channel, bringing through messages from a Group of Seven Light Beings who uses the symbolic name of Wormwood. Although doing verbal channeling for 24 years, she has only channeled publicly for nine years. Nancy has channeled in a variety of settings from metaphysical stores, to churches, to healing centers as well as metaphysical groups hosted in private homes. Her own interest in dreams began over 30 years ago, when she studied and trained as a Marriage & Family Counselor, which she did professionally for thirteen years. Once she began channeling she utilized her group of Light Beings to expand and deepen her understandings, experience healings and “Aha” moments for her own dreams. When her guides asked her to go public, their dream messages have inspired others to see dreamtime as a path of healing, and a spiritual resource as their own inner Soul Self, their own guides and loved ones on the other side are seeking to symbolically support, help, heal and guide us in our waking lives. Currently, Nancy is working on a book of spiritual teaching dreams which are illuminated by Wormwood’s channeled writings. Craig is a SyFy invited/featured author, a member of the scientific advisory board of North American Journal of Medical Sciences. He and his work have been honored to make well over a thousand media / academic /keynote/corporate appearances (BBC, ABC, NBC, Discovery, CBS, CTV, CBC, MSN, PBS, The New York Times & London Times, and many others) You can visit his website at: www.craigwebb.ca and www.DREAMS.ca to learn more about his work. Have you ever been stuck in confusion, and then a song came on the radio or the perfect person provided the clarity you were seeking? Do you wonder why a deeply painful issue keeps coming back again and again? Have you ever struggled with a project, and then, just when you needed it, someone or something stepped in to save the day? Gloria Loring would tell you that coincidence, a coinciding of meaningful events, is trying to get your attention. She would also quote Albert Einstein’s words that title her new book, “Coincidence is God's way of remaining anonymous.” In this spiritual autobiography, Gloria shows readers how to put Einstein’s wisdom to use with a fresh perspective born of three decades of experience, practice and revelation. Gloria experienced that the phenomena of coincidence can provide a portal to spiritual understanding. She promised her son she would work to cure his diabetes: Coincidence helped Gloria raise $1 million for diabetes research. She wanted a hit record: A question from a friend helped her find her #1 hit “Friends and Lovers.” She knew she had to leave her marriage: Coincidence prompted a fan to send her “Letters from God” during her secret separation and eventual divorce from actor-writer Alan Thicke. And when she needed it most, an angelic presence and a sequence of esoteric experiences led her to uncover and heal childhood sexual abuse. Although coincidence appears to come out of the blue, Loring knows that it’s possible to manifest the divine in our everyday lives. Whether a coincidence appears to be good or bad, it often presents guidance we need or a challenge we might undertake. Through the stories of her own journey, Gloria offers an in-depth prescriptive look at the spiritual dimension of coincidence: where it comes from, how we attract it, and how we use it for the betterment of ourselves and those we love. Gloria is the recording artist of the #1 hit song Friends and Lovers; co-composer of television theme songs Diff’rent Strokes and Facts Of Life, which she also sang; an audience favorite as “Liz Chandler” on Days Of Our Lives; one of the few artists to sing two nominated songs on the Academy Awards; and is the mother of R&B singing sensation Robin Thicke. Gloria’s new book, Coincidence is God's Way of Remaining Anonymous: Reflections on Daytime Dramas and Divine Intervention, details a series of extraordinary coincidences that transformed her life and offers prescriptive insight into how each of us can use coincidence for our own good and the good of those we love. Her new musical show, TV Tunez, is a celebration of television’s best theme songs that premiered to standing ovations and is in development for a Las Vegas run. Gloria is a certified yoga instructor and an articulate champion of bio-medical research. After her son Brennan was diagnosed with diabetes at age four, she created and self-published two volumes of the Days Of Our Lives Celebrity Cookbook which raised more than $1 million for diabetes research. In total, she has written and created six books benefitting people with diabetes. She has hosted and sung at events for His Holiness Sri Sri Ravi Shankar, Siddha Yoga, Michael Beckwith’s Agape International Spiritual Center, and has shared the stage with esteemed spiritual teachers such as Dannion Brinkley, Dr. David Hawkins, Mary Manin Morrissey and Eric Pearl. Gloria is listed in Who’s Who in America and Who’s Who of American Women. She has been honored with the Lifetime Commitment Award from JDRF, and the Woman of Achievement Award from the Miss America Organization, an honor she shares with past recipients Barbara Bush, Roslyn Carter, and Hillary Clinton. Hey West Coast USA lets send Boston USA some Prayers. Topic: Aliens - Interview with Frederica Gold, Ph.D, Psychotherapist, Clinical Hypnotherapist, and Author. Frederica Gold, Ph.D is a former Marriage Family Therapist and holds two Masters degrees, along with her doctorate which is in Human Behavior. Dr. Gold has counseled in private practice, group therapy and Hypnotherapy training for other mental health professionals. 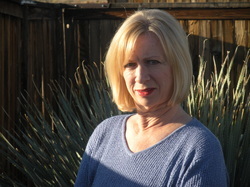 She is a provider for the CA Board of Behavior in the area of Family Communication. Her recently published book, Adultery is Universal; But I’m Getting Married Anyway, is a well researched resource book about not only infidelity, but about marriage and intimate relationships, communication and the evolution of women and how that relates to the state of marriage today. On a lighter, but important side, her next book in progress relates to our society in 2019 as told by a woman who spontaneously is transported to a parallel dimension that does not mirror life on Earth, but exists here with us simultaneously. It is entitled Dimension Norræna and you can read about it as it is written on her blog at http://ricagold.wordpress.com/. went on for almost five years. The response has been everything an author could ask for in terms of positive feedback. 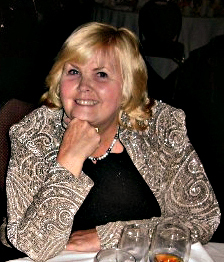 Connie (Corcoran) Wilson, Paranormal Mystery Author - Connie is an accomplished author and a teacher in writing. She has traveled America's highway, Route 66, in 2008 attending events like the Fort El Reno Ghost Tour in Fort El Reno, Oklahoma. She gathered ghost stories told her by residents of the famous highway and wrote them up as "Ghostly Tales of Route 66." Connie's new award-winning series “THE COLOR OF EVIL” focuses on the paranormal ability of Tad McGreevy. Tad "sees" auras" around others that tell him whether that individual is good or evil. At his eighth birthday party, his parents hire a clown. The clown is based on John Wayne Gacy. At night, Tad relives the crimes of those with “THE COLOR OF EVIL” (khaki) reliving the crimes in vivid detail. Tad's parents, in Book One, insist that he keep the knowledge of this power secret, but in Book #2, the rest of the world finds out. The problem with Tad's dreams is that Tad doesn't know if the events he sees are happening in the past, the present or the future. Connie has just released the second book in “THE COLOR OF EVIL” series, a book entitled “RED IS FOR RAGE”. Tad and his high school friends return to advance the story told in Book One, and we now know that Tad's power has a name: “Super Tetrachromatic Vision”. is a traditional ghost story with a reincarnation twist UNLIKE most in the genre. “Never Can Say Good-bye”, will not only be quality entrainment, but it will also accurately present reincarnation. Visit: http://www.theresachaze.com to learn more about Chaze and her work. 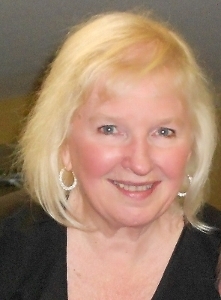 Roberta is the author of three paranormal mystery novels called the Mickey McCoy Paranormal Mystery Series. 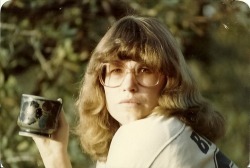 She is a native of Southern California and has always loved all things ghostly and paranormal—long before Ghost Hunters or Ghost Adventures were a gleam in their creators’ eyes. She is a graduate of the University of Redlands, is married and lives in the High Desert with her husband of sixteen years. She has done a bit of ghost hunting herself and likes to stay in haunted hotels. She calls it research for her novels. 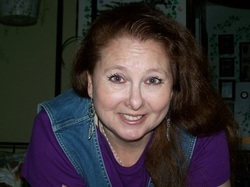 Visit: www.bertabooks.com to learn more about Roberta and her work. Theresa is storyteller who tells tales about people who face their fears. She is a great scrounge, which makes her a great Executive Producer. Chazes’ eye for detail makes her an excellent video and audio editor. Her life long spiritual quest for wisdom has led her down a path that angels and fools have feared to tread. Her current project, a paranormal romance movie called “Never Can Say Good-bye”, which is a traditional ghost story with a reincarnation twist UNLIKE most in the genre. “Never Can Say Good-bye”, will not only be quality entrainment, but it will also accurately present reincarnation.